Fabricio Werdum showed off his much-improved striking on Saturday night, and Roy Nelson’s face bears the evidence of all the knees that Werdum landed. 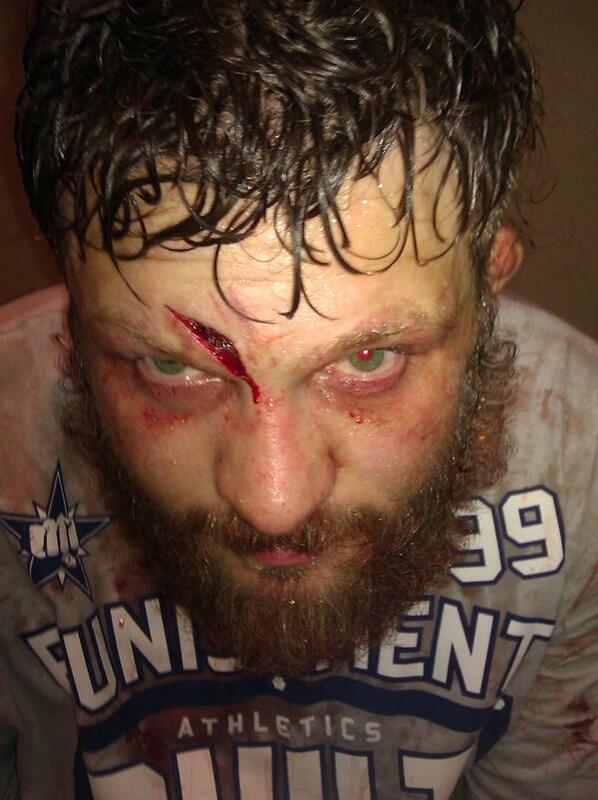 ‘Big Country’ tweeted this post-fight photo of the nasty gash on his forehead. The controversial decision of the Diaz/Condit fight is the focus of all the chatter right now, but Werdum’s performance was by far the most impressive of the night. Not only did he look like a top-level striker, he also took some big shots from Nelson and kept coming forward.